For more information, please contact Steve Radbourn by email or directly at 416-978-2474. View upcoming Skule™ Lunch & Learn events. The Robotics Revolution: Hype or Hope? Join us for the next Skule™ Lunch & Learn about the planning and design of the Centre for Engineering Innovation & Entrepreneurship (CEIE). Professor Emeritus Ron Venter (MIE) will talk about the CEIE from the building’s initial concept to its planned opening, now anticipated for late 2017. Currently under construction, the CEIE will set a new standard for engineering education and research. When the CEIE opens in 2017, it will provide a new home for some of U of T Engineering’s world-leading institutes, such as the Centre for Global Engineering and the Institute for Sustainable Energy. Its design/meet rooms and fabrication facilities will enable students, faculty and industry partners to collaborate across disciplines on complex global challenges and launch new companies to bring their innovations to market. The CEIE will also house the Alumni Attractor Room where alumni can meet and interact with undergraduate and graduate students, faculty and industry partners on any number of activities. The building will provide locations on all floors for new and exciting collaborative interactions, including hoteling carrels for professional master’s students and alumni. A professor at University of Toronto from 1975 to 2006, Dr. Ron Venter (MIE) developed impressive research and teaching credentials and was appointed to various administrative leadership challenges, most notably as chair of Mechanical Engineering for 10 years, and thereafter as vice-dean of the Faculty and as vice-provost from 2000. He is a former holder of the Clarice Chalmers Chair of Engineering Design and was elected to serve as an academic member of Governing Council from 1993 to 2000. Since his formal retirement from U of T in 2006, Venter has established his own company, Element One, and has worked with various universities to plan and develop new academic buildings over the past 10 years. He is presently working with Dean Cristina Amon to build the much anticipated Centre for Engineering Innovation & Entrepreneurship. Join us for lunch on Wednesday, Oct. 12 to hear how the University of Toronto Aerospace Team (UTAT) is helping redefine Canadian aerospace education and innovation. Jeremy Wang (Year 4 EngSci + PEY), Executive Director and Senior Engineering Designer for UTAT, will share how the team’s three drones, one rocket, one satellite, and comprehensive outreach programs are enabling the services and engineers of tomorrow. What comes to mind when you think of aerospace? Jumbo jets? Military drones? The Space Shuttle? New and emerging fields are changing what it means to be an aerospace engineer. From automated flying robots that provide emergency medical service, to quadcopters that can snap beautiful photos while fighting indoor fires, to high-altitude research rockets for safely sampling volcanic ash or hurricane formations, to microgravity medical research that is finding new ways to treat illness on Earth — UTAT aims to be at the forefront of next-generation research and services. The beautiful thing about aerospace is that it’s not just about aerospace — it’s about bringing together and supporting the kinds of activities that make modern life possible. The University of Toronto Aerospace Team (UTAT) was founded in 2004, and is one of the largest student design teams on campus with over 100 active undergraduate and graduate students from U of T Engineering and the Faculty of Arts & Science. The team’s five divisions (Aerial Robotics, UAV, Rocketry, Space Systems and Outreach) have won more than 30 awards in the past five years. Jeremy Wang (Year 4 EngSci + PEY) has been on the UTAT team for three years, having served previously as the team’s director of outreach as well as rocket propulsion lead. Wang is a former rocket propulsion engineering intern at the German space agency, a research advisor to the Department of National Defence, and is currently on PEY as the director of R&D at The Sky Guys Ltd., leading a new state-of-the-art drone program in Canada. Learn about the ground-breaking technology behind MyndMove™, a non-invasive device that restores an astonishing degree of mobility and dexterity in individuals who have suffered severe strokes or spinal cord injuries. Using electrical stimulation to boost neuroplasticity – the brain’s ability to form new connections in order to compensate for injury or changes in one’s environment – this new therapy promises greater independence to thousands affected by paralysis. 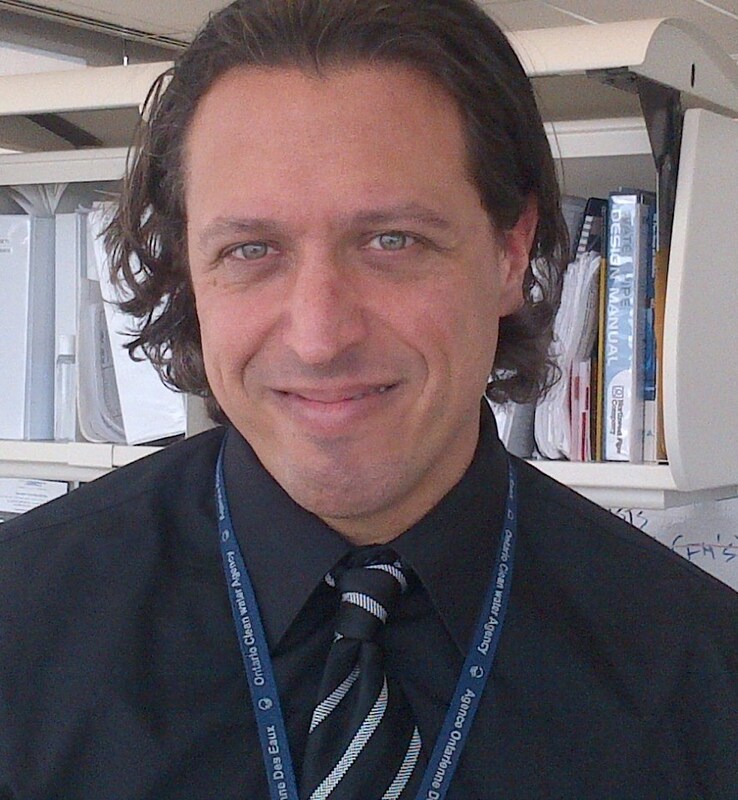 Dr. Popovic is a scientist at Toronto Rehab and Associate Professor in the Institute of Biomaterials and Biomedical Engineering at the University of Toronto. His research interests are in developing neuroprostheses for stroke and spinal cord injury patients, brain-machine interfaces, assistive technology and neurorehabilitation. 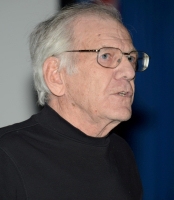 He received his PhD in mechanical engineering from the University of Toronto, and holds a diploma in electrical engineering from the University of Belgrade. Read a summary of the awards ceremony. The U of T Concrete Canoe Team is a multidisciplinary design team completely managed by students. Turning concrete on its head, the group is pit against other universities in an annual national competition to make the unfloatable float. Together, the team must design, build and race a concrete canoe that is less dense than water and structurally sound enough to support four paddlers. Join us for lunch and a discussion of the team’s many design challenges and creative solutions. James Yip-Albin has been involved in the U of T Concrete Canoe Team for three years, last year as the concrete design lead and this year as a project manager. In 2015, the team achieved the lowest hours and expenses to points ratio of any team at the competition, coming in first place in Ontario and fourth place nationally. No instruction is cognitive or informational in nature only. Indeed, much like athletic training, learning relies heavily on motivation, perseverance and engagement. Join us for lunch on January 13 as U of T’s own Sasha Gollish explores how coaching principles can transform the face of engineering education and prepare students to take on a marathon career of complex challenges. From performance planning to deliberate practice to coaching leadership, learn how best practices from the track and field can take us far in the classroom, lab and boardroom. Last January, 33-year-old Sasha Gollish took an extended break from her consultancy work and began her doctoral studies in engineering at the University of Toronto with two related goals: to figure out a way to improve the teaching of math in engineering schools, and to turn herself into a world-class runner. She hasn’t disappointed! Sasha has a long list of accolades to her name. A civil engineer with a BA in economics, Sasha has ten years’ professional experience specializing in road safety. 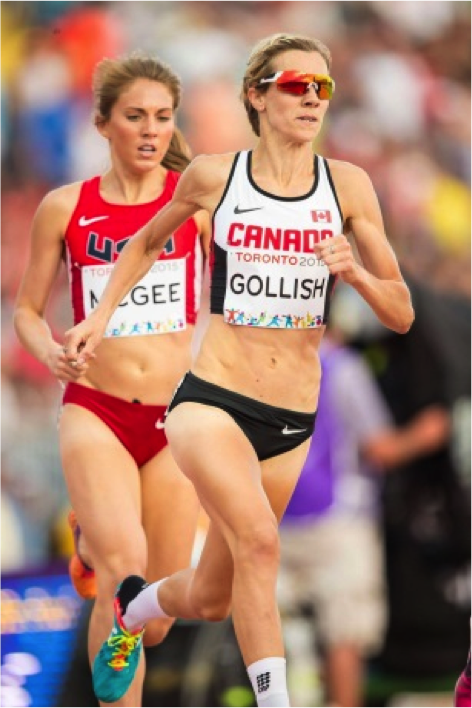 She is a 2015 Pan Am Games Bronze Medalist (despite losing a shoe on the track!) and Canadian Championships Silver Medalist. Along with running, Sasha is an accomplished cyclist, duathlon competitor, skier and Ultimate Frisbee participant. As one of a handful of women to earn her Advanced Coaching Diploma, she also mentors and coaches numerous athletes in running and skiing. Today’s engineers are assuming an increasingly prominent role in addressing global challenges. Food engineering is changing the landscape of international development as we seek to tackle the complexities of global project management while integrating social, environmental, political and economic factors. From disease prevention to work capacity, child development to maternal care and more – food security and nutrition have a profound impact on the wellbeing of individuals and their larger societies. Learn how innovative solutions in food engineering are helping to meet the demands of a growing and complex world. 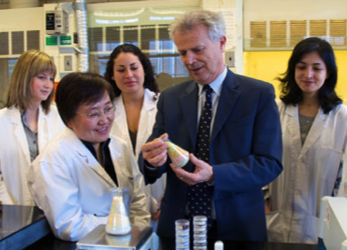 Professor Diosady joined the Chemical Engineering Department at the University of Toronto in 1979, where he established the first food engineering program in Canada. His research interests include oilseed processing, membrane processes, extrusion, advanced separation processes and micronutrient fortification of food. He is the author of over 120 publications in refereed journals and holds 17 patents. 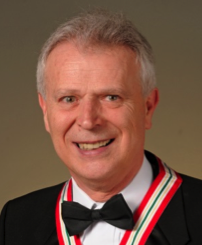 He is a fellow of several Canadian and international engineering and chemistry institutes, and the recipient of numerous prestigious awards including the Canada Award for Business Excellence, the Professional Engineers of Ontario Engineering Medal, the Queen’s Diamond Jubilee Medal and the Order of Ontario – the province’s highest civilian honour. Join us for a fitting Remembrance Day tribute as Dr. Robert Galway takes us on a journey of aviation history. 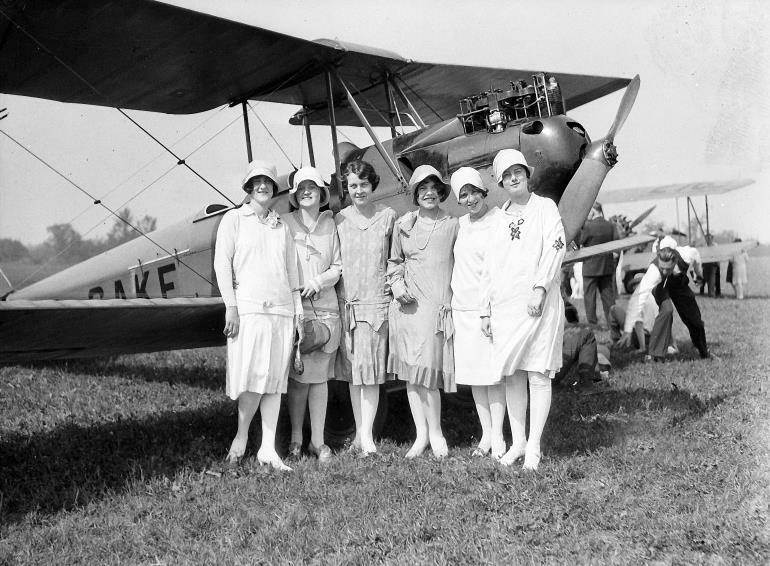 Through a wealth of historical insights and photographs, we’ll touch down at each of Toronto’s vintage airfields to gain a bird’s-eye view of how aviation has helped to shape the fabric of our city and nation. Robert is a graduate of Victoria College, University of Toronto (1958) where he had the good fortune of taking courses in geological sciences while obtaining a degree in political science and economics. After ten years working during summer vacation as a geophysical operator and in geological exploration in Northern Ontario and Labrador, he completed his M.D. at the University of Toronto in 1963. He obtained his fellowship in orthopaedic surgery in 1970 and practiced in the west of Toronto for over thirty years. His longstanding interest in aviation led Robert to earn his pilot’s license with IFR and Float ratings and to write numerous books and articles on the history of Canadian aviation. As our population grows, water infrastructures need to be expanded to keep pace. Engineers seeking to solve this complex problem face a myriad of technical, political and public relations challenges. Join us for lunch on October 14 to learn how two Peel Region teams are navigating the urban and political jungle to undertake ambitious large-diameter pipe initiatives – the Hanlan Water Project and the West Trunk Sewer. How do these two projects compare, both technically and from the perception of residents, businesses and politicians? 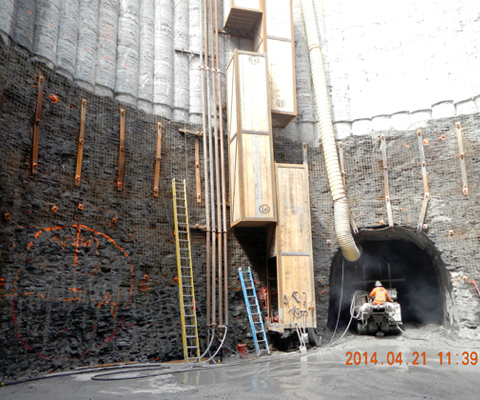 How do you decide where to put large-diameter pipes in a busy city? What lessons have been learned? What best practices have been established? And how do you garner community acceptance for large-scale projects a diverse urban and political jungle? Anthony is responsible for the operation of two major wastewater treatment facilities, 36 sewage pumping stations and over 3,500 kilometres of sanitary sewers, along with the capital projects necessary for Peel’s rapid expansion. Scott liaises between the Region of Peel, the consultant, contractors and members of the public. As well as being the public “face” of the Hanlan Water Project—ensuring all residents’, businesses’ and councillors’ concerns are responded to—Scott assists the Project Manager with the day-to-day administration of the largest linear infrastructure project in the Region of Peel to date. Colin Anderson will present the story of the Sky Garden, a student-led project that is reclaiming flat roof space in downtown Toronto. The interdisciplinary project team tapped the skills of University of Toronto students from engineering, life science and the humanities to develop a unique, low-weight, semi-hydroponic system that allows the retrofit of buildings never designed to host productive green roof systems. Sky Garden is Toronto’s most productive green roof, growing over 200 kg of fresh, local, organic produce each year that goes directly to the University of Toronto Food Bank and other neighbourhood community organizations. The project, now in its sixth year, employs at least two students year-round and trains a host of volunteers from across the University and wider community. Participants learn to maintain urban gardens and also contribute to a suite of educational workshops on topics like container gardening, beekeeping, seed saving, food security and composting. Colin Anderson is an Ontario Certified Teacher with 9 years of experience facilitating student-led community initiatives for organizations such as the Lakehead District School Board, Lakehead University, the District School Board of Niagara, the Toronto District School Board, and the University of Toronto. Colin developed his passion for sustainability and the urban environment in the Outdoor Environmental and Experiential Education program at the Kingfisher Outdoor Education Centre in Thunder Bay, Ont., and as chair of the Government of Ontario’s Superior-Northwest EcoAction Teams panel. His interests lie at the intersection of sustainability, food security, community development, public health and poverty reduction through education. He currently works as the communications and student programs coordinator in the Department of Civil Engineering at the University of Toronto and is the manager of the Sky Garden project. Health care is the number one industry in North America; bigger than automotive, telecommunications or steel. The US spends far more than any other country (as a percent of GDP). Health care systems all over the world are in the midst of a serious financial crisis, and the situation will likely get worse in the next decade. Demand is going up as the population ages, and costs are increasing as the drugs and technologies continue to get more complex and expensive. Industrial engineers are helping the health care industry improve quality, reduce costs, improve effectiveness and increase efficiency. Many of the concepts that have been used to manage supply chains in other industries are slowly finding their way into health care. In this talk, Professor Carter will describe a few examples including strategic issues (health human resource planning), tactical questions (wait list management) and operational problems (outpatient clinic scheduling). Michael Carter is a professor in the Department of Mechanical & Industrial Engineering at the University of Toronto. He received his doctorate in mathematics from the University of Waterloo in 1980. Since 1989, his research focus has been in the area of health care resource modelling with a variety of projects in hospitals, home care, rehab, long term care, medical labs and mental health institutions. He was the winner of the Annual Practice Prize from the Canadian Operational Research Society (CORS) four times (1988, 1992, 1996 and 2009). In 2000, he received the CORS Award of Merit for lifetime contributions to Canadian Operational Research. He also received an “Excellence in Teaching” Award from the University of Toronto Student Administrative Council. He is on the editorial board for the journals Health Care Management Science and Operations Research for Healthcare. He is a member of the Nursing Effectiveness, Utilization and Outcomes Research Unit and a mentor in the Health Care, Technology and Place program at the University of Toronto. He is on the Advisory Board for the Regenstreif Centre for Healthcare Engineering at Purdue University and an adjunct scientist with the Institute for Clinical Evaluative Sciences in Toronto (www.ices.on.ca). 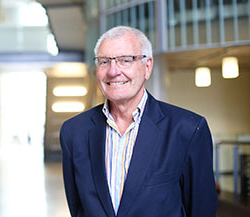 Professor Carter is a Fellow of the Canadian Academy of Engineering and a Fellow of INFORMS. Join us for lunch to celebrate three exceptional U of T Engineering students who are receiving awards from the classes of 3T5, 5T3 and 5T6. This is a great opportunity to catch up with your classmates and to encourage and recognize the great work being done by the latest generation of Skule™ students. An “i” on the street: Intelligent traffic lights that not only self-learn but also teach us! Developed at the University of Toronto Intelligent Transportation Systems Centre, MARLIN is an artificial intelligence-based traffic control system that, during research testing, has proved to dramatically improve traffic congestion at intersections while reducing municipal infrastructure costs. MARLIN marries machine learning, traffic cameras and embedded computers to enable traffic lights to observe vehicular delay, understand what it means and adapt signal timing on a second by second basis to reduce motorists delay by an average of 40 per cent, and significantly reduce the negative environmental externalities of congestion. The self-learning traffic light control “agents” capture the mapping between the observed state of an intersection at any moment and the best control action to take. Moreover, neighbouring agents learn to team up, using game theory, to collaboratively coordinate their decisions to further minimize delay across an area. As the agents learn their environment prior to deployment, they teach us which intersections will benefit the most, and which groups of intersections need to communicate. This information helps municipalities prioritize investment in advanced traffic lights. Once deployed, the MARLIN agents never stop learning and hence are always up to date. Dr. Samah El-Tantawy has been a postdoctoral fellow at the Intelligent Transportation Systems (ITS) Lab and Testbed, University of Toronto since 2012. She is also a co-founder and a director of Pragmatek Transport Innovation (PTI) Inc., a Uof T startup in the adaptive traffic signal control industry. IEEE-Intelligent Transportation Systems Society (ITSS) Best PhD Dissertation Award (First Place) and Institute of Operations Research and Management Science (INFORMS) George B. Dantzig Dissertation Award (Second Place). 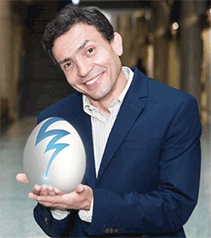 Samah and Prof. Baher Abdulhai (co-inventor of MARLIN) won the University of Toronto “Inventors of the Year Award” in 2014. Samah’s developed technology, MARLIN-ATSC, has won the MaRS Innovation Proof of Principle (PoP) funding for 2012/2013 and Connaught Innovation funding for 2013/2014 to conduct system integration for MARLIN into a real controller and field implementation system requirements. Throughout her PhD, she won four industrial scholarships: ITS Canada, Transportation Association of Canada (TAC), Canadian Transportation Research Forum (CTRF), and Canadian Institute of Transportation Engineers (CITE), and three provincial scholarships (two Ontario Graduate Scholarships (OGS) and OGS in Science and Technology (OGSST). Join us this month as Professor Lee Bartel discusses the new research direction in music and health at the University of Toronto. Professor Bartel will present examples of studies that indicate the potential for research in music and health connections including in Alzheimer’s, fibromyalgia, major depression, cochlear implants, cardio applications and disorders of musicians, to name a few. Lee Bartel is the associate dean of research, a professor of music education and music and health, and the founding and acting director of the Music and Health Research Collaboratory (MaHRC) at the University of Toronto. With extensive early experience as a music teacher at all levels and as a performing choral conductor, singer, violinist and guitarist, Bartel has special interest in conditions of learning, pedagogic culture, social psychology and music in human development. He has focused strongly on music for children, developing 60 albums with Fisher-Price. In music education, his research has included cognition and perception, social psychology, and curriculum, and in general education his research ranges from international education to issues of evaluation, professional development, homework, and 21st-century learning. He was editor of the Canadian Journal of Research in Music Education, editor of the CME Journal, and senior editor of the CMEA Research to Practice book series. In music and health, Bartel has a broad interest ranging through music therapy, music medicine, music neuroscience, health in culture, musician’s health, music performance science and music in human development. He has a special interest in applications of music in health conditions of aging and rehabilitation and is well known for his research and design of music for brain effects with 24 albums on solitudes and sonic aid. He currently has research studies underway in music enjoyment ability retraining (Music-EAR) approaches for cochlear implant recipients at Sunnybrook Health Sciences; rhythmic sensory stimulation (RSS) for cardio rehab at Toronto Rehab; RSS and fibromyalgia at Mount Sinai Hospital; RSS and Alzheimers at Baycrest; RSS and major depressive disorder with the CAN-BIND project, and basic RSS neuroscience at Baycrest. At this month’s Skule™ Lunch & Learn, Professor Lie will talk about some the issues that the Computer Security Lab at the University of Toronto is exploring in terms of smartphone security. He will look at how the lab is addressing the many security challenges raised by increased smartphone use, such as threats to user privacy, attacks against vulnerable applications and smartphone malware. He will also discuss how the lab is using smartphones to improve security in other aspects for users, such as password recovery and authentication in services like online banking and healthcare. David Lie received his BSc from the University of Toronto in 1998, and his MASc and PhD from Stanford University in 2001 and 2004 respectively. 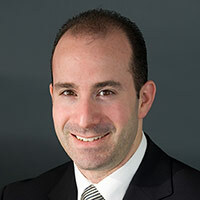 He is currently an associate professor in The Edward S. Rogers Sr. Department of Electrical & Computer Engineering at the University of Toronto and the Canada Research Chair in Secure and Reliable Computer Systems. While at Stanford, David founded and led the XOM (eXecute Only Memory) Processor Project, which supports the execution of tamper and copy-resistant software. He was the recipient of a best paper award at SOSP for this work. 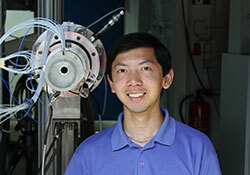 David is also a recipient of the MRI Early Researcher Award. More recently, he and his students have developed the Pscout Andriod Permission mapping tool, whose datasets have been downloaded over 10,000 times and used in dozens of subsequent papers. David has served on various program committees, including OSDI, ASPLOS, Usenix Security and IEEE Security & Privacy. Currently, his interests are focused on securing mobile platforms, cloud computing security and increasing the reliability of software. 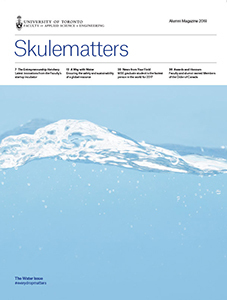 Childhood pneumonia: Why are two million children dying every year from a treatable illness, and what can engineers do about it? Most health-care facilities in low-income countries do not have a reliable supply of medical oxygen, an essential medicine for treating childhood pneumonia and many other serious illnesses. Challenges faced in these settings include cost, lack of a reliable supply chain, poor transportation infrastructure, and unreliable electricity. In this Lunch & Learn talk, Beverly will paint a picture of the oxygen challenges faced by under-resourced health-care facilities through her experiences working in The Gambia, West Africa. She will also discuss how she is using techniques grounded in the field of operations research (e.g. computer simulation, optimization) to analyze this urgent supply-and-demand problem, and propose new operational and technological solutions to improve oxygen supplies in settings with limited resources. Newfoundland, blue whales and me: How to flense a whale in five easy steps! In Spring 2014, nine blue whales, the largest animal that has ever lived on Earth, were trapped in ice off the west coast of Newfoundland and died. These individuals comprised 2-4 per cent of the total known Northwest Atlantic population of this iconic, endangered species. Two of the whales subsequently washed ashore in communities within Gros Morne National Park, and overnight became international news. Faced with the difficult task of removing a now famous, rotting pair of 26-metre-long, 100-ton whales from local beaches, the Department of Fisheries and Oceans turned to the Royal Ontario Museum. The ROM’s Mark Engstrom quickly assembled a team of 10 people to recover the skeleton and tissue samples from the whales, in an effort to salvage some good from this tragic loss. This is Mark’s story of how he became involved, what the team did, and the museum’s future plans to study and display these whales. Dr. Mark Engstrom is Deputy Director for Collections and Research at the ROM, Senior Curator of Mammals, and is also cross-appointed as Associate Professor in Ecology and Evolutionary Biology at the University of Toronto. Mark obtained his Ph.D. in systematic biology from Texas A&M University in 1984 and taught in the Department of Biology at Angelo State University, Texas until 1988 when he joined the ROM. Perhaps surprisingly, Mark’s research has focused mainly on the evolutionary biology and systematics of small mammals, in particular rodents and bats, on which he has published over 100 peer-reviewed articles. Nonetheless, over the past 10 years, Mark has also been assembling a collection of large whales, in the hope of displaying them at the ROM, to illustrate their unique biology, highlight their fascinating evolutionary history and as magnificent examples of the importance of marine conservation in Canadian waters. Read a summary of the event. Join us for lunch on Wednesday, March 12 to celebrate three exceptional U of T Engineering students who are receiving awards from the classes of 3T5, 5T3 and 5T6. Congratulations to Thomas Medal, Stephanie Gaglione and Hanna Janossy! Learn about initiatives underway to challenge educational norms and move U of T Engineering’s teaching practice forward. Professor Susan McCahan (MIE) will share the practical insights she had gained as Vice-Dean, Undergraduate and as an engineering education researcher. Engineering educators have long recognized the importance of encouraging students to work together to solve problems, learn from each other and participate in team design projects and clubs. Research confirms the value of this type of collaborative teaching and learning. However, traditional lecturing is still pervasive and collaborative learning is not being adopted as widely as it should be. Find out what U of T is doing to change that. Professor McCahan is a Fellow of the American Association for the Advancement of Science in recognition of her contributions to engineering education and is the recipient of several major awards related to teaching and teaching leadership, including the 3M National Teaching Fellowship and the Engineers Canada Medal of Distinction in Education. On June 29, 2012, aid worker Steve Dennis and three colleagues were kidnapped in a brazen attack at the Dadaab refugee camps in Kenya and marched to Somalia before being rescued three days later. After 10 years of working closely with and for populations in dire need, Steve now had a personal understanding of what it meant to be vulnerable and dependent on other people’s assistance. Steve will recount his abduction with the focus on three profound insights he gained. The Dadaab refugee camps became the largest in the world and were home to more than 463,000 people after the East African famine in 2011. They symbolize one of the most important humanitarian challenges of our days and illustrate the tension between the importance to assist the millions of people in dire need and the insecurity of aid workers in the field. Since 2002, Steve has been a humanitarian aid worker with Médecins Sans Frontières (Doctors without Borders) in Sri Lanka, South Sudan, Somalia, Ivory Coast, Chad and Kenya, and with the Norwegian Refugee Council (NRC) in Kenya. Besides his U of T Civil Engineering degree, he holds a master’s degree in international relations and currently lives in Nairobi, Kenya. with Dr. Brian Courtney, Sunnybrook Health Sciences Centre and Colibri Technologies Inc. Learn about innovations that are helping to better diagnose and treat heart conditions, and about the challenges in founding and nurturing a medical device company in Canada. Our featured guest speaker is cardiologist Dr. Brian Courtney of Sunnybrook Health Sciences Centre, who founded Colibri Technologies Inc. to bring his idea to market. The device he developed can see inside the heart in 3D, eclipsing today’s catheter-based imaging technology and offering the potential to make cardiac procedures safer, faster, cheaper and more effective. An in-depth look at the capital projects being planned for the Pan Am Games that will leave a legacy for our communities long after the closing ceremony. Now in its second year, The Entrepreneurship Hatchery at U of T provides undergraduates with tools and resources to turn their ideas into commercial products and services. Orozco discussed some of the program’s successes what it takes to develop a strong business model and launch a start-up today. Who Let Engineers into Hospitals?